Note: We just completed step two of adding a Summary of Performance to Illuminate! The first step was adding in the Anticipated Exit Date to the User Interface of IEPs. 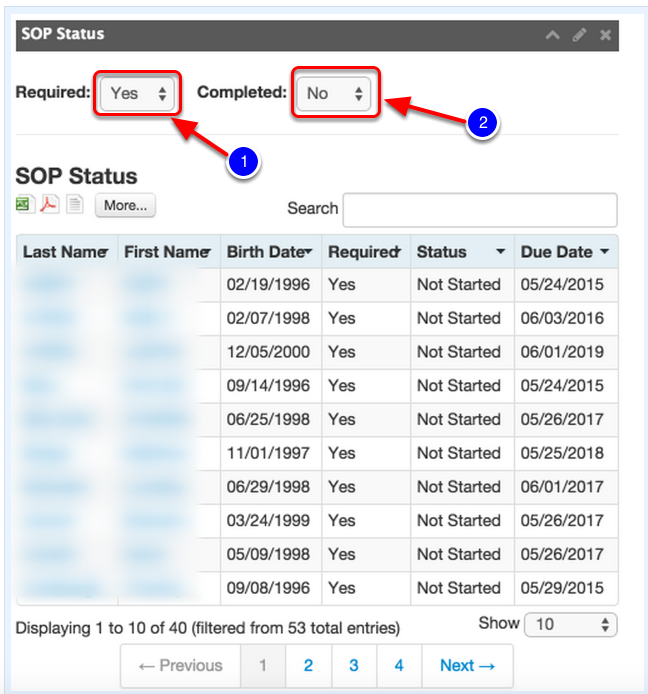 Now you have the ability to track those students who require an SOP and those students that you may want to complete an SOP for by using this widget. Coming to Illuminate in the future will be a Summary of Performance so stay tuned. 1. The Required allows you to filter by selecting either Yes or No in response to, "Is a Summary of Performance Required?". 2. The Completed allows you to filter by selecting either Yes or No in response to, "Is the Summary of Performance Complete?"